Each of the best-selling writers represented in Legends II return to the special universe of the imagination that its author has made famous throughout the world. Whether set before or after events already recounted elsewhere, whether featuring beloved characters or compelling new creations, these masterful short novels are both mesmerizing stand-alones (perfect introductions to the work of their authors) and indispensable additions to the epics on which they are based. George R.R. Martin worth the price of admission! A worldwide sensation with more than 12 million copies in print, Diana Gabaldon’s Outlander series has produced #1 best-selling novels and earned a fiercely devoted fan base. Another spellbinding entry in the series, A Breath of Snow and Ashes continues the saga of 18th-century Scotsman Jamie Fraser and his 20th-century, time-traveling wife, Claire. The year is 1772, and the rift between Britain and its American colonies has put a frightening word into the minds of all concerned: revolution. In the backwoods of North Carolina, violence has already reared its ugly head, as cabins have been burned to the ground. To preserve the colony for King George III, the governor pleads with Jamie to bring the people together and restore peace. But Jamie has the privilege, although some might call it a burden, of knowing that war cannot be avoided. Claire has told him that the colonies will unite and rebel, and the result will be independence, with all British loyalists either dead or exiled. And there is an additional problem. Claire has discovered a newspaper clipping from 1776 that tells of Jamie’s death. 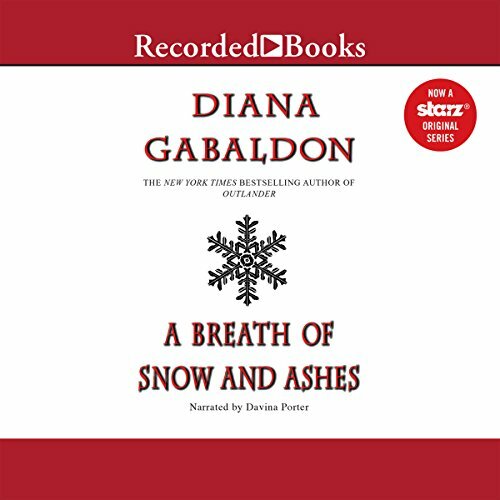 With its epic scope, historical details, and sweeping romance, A Breath of Snow and Ashes is everything Gabaldon’s fans love and more. Davina Porter's narration is perfect -- again. She is the voice of Claire for me. When I read the words, I hear Davina Porter. Plus, she handles all the other characters incredibly well, with a superb ability to set them apart and to hold their distinctions from beginning to end and from book to book. Once again, I'm at the end of 57 hours of listening and would be just fine if there were more. I marvel at Diana Gabaldon's ability to write with quality and in quantity. If you're a fan, this is one of the most terrific books in the series. If you've not become a fan yet, start at the beginning. The characters are complex and getting the full measure of their lives is one of the most splendid things about this series. I loved this book. I was so happy when Briana and Roger went through the stones to re-unite with Claire and Jamie. What a wonderful family saga. I have to say that Davina Porter does an incredible job reading these books. She brings them alive for me and how she manages to do all the accents and voices I don't know. I only know she does and it's wonderful. I'm reading Echo in the Bone and am sad that temporarily, until Ms. Gabaldon comes out with another book, I will be Fraser-less and MacKenzie-less. Something to look forward to. This is my favorite so far and I loved all! 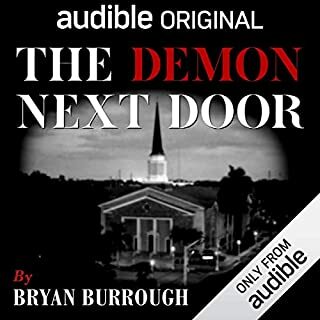 I'm thrilled that Audible got the rights to the unabridged version of this, I hope the other will follow soon. Davina Porter is perfect in her narration. She pronounces the words perfectly, and carries the voice changes beautifully. It is a very long book I believe 57 hours, however it flew by because it was written and narrated perfectly. Thanks Audible. This is an exceptional series. It is remarkable that Diana Gabaldon has maintained the writing quality in each book, not to mention throughout the series. While the last book was a minor step-down (a 4 v. 5), this one rebounds to the amazing level of prior books. Excellent book, excellent performance ~ ! A great read to be sure! I read this when it was first released. And I was so disappointed when I found it was not offered as unabridged. Davina Porter's voice has certainly become Clair's so no other will suffice. When I saw that it is now available it took me about 5 seconds to click the download button. It's so easy to slip back to the 17th century when listening. This might be my favorite yet! One twist after another! I couldn't stop. It was worth the wait. I love this series of books. I love this narrator. I love that all the books in the series are now available on Audible (there were two in the middle that previously weren't). The Outlander series is what Audible is all about. The series is the story of a woman who accidentally travels 200 years back in time and meets the love of her life. Whenever I explain this premise to people I get raised eyebrows, but the truth is that the books are more historical fiction than sci fi/fantasy. I read an interview with the author once in which she said she set out to write historical fiction, but just couldn't get into the mindset of an 18th century woman so devised the time travel in order to place a modern woman in the period she wanted to write about. That decision made the books even more interesting. All of the main characters are relatable and fleshed-out. The history is meticulously researched. The conversations, love stories, intrigue, etc feel organic. The descriptions of Scotland - both modern and historical - are amazing and make me love the country even though I've never been. I really have almost no criticisms of the writing. 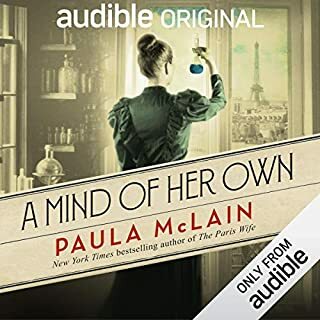 Meanwhile, Davina Porter is one of the best narrators I've encountered in an audiobook. 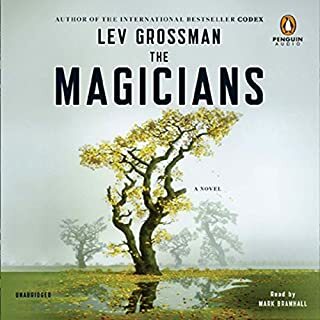 (Thank you, thank you to the narrator and audiobook producers or whoever arranged for the same narrator to read the whole series so far.) She manages to have a completely different voice for each main character and to my untrained ear moves effortlessly from one accent to another as the story dictates. Her American accent is not perfect, but it's still very good. She has a great cadence, sounds like she's read the book 100 times prior to narrating, and never stumbles over what must be incredibly difficult Gaelic words... (in fact, a friend of mine who is reading the whole series on paper calls me occasionally to have me pronounce the Gaelic words for her). Clearly, these are some of my favorite all time audiobooks. Despite their length, I'm on my third time through the series. Speaking of length, all the books in the series are pretty long, but still only one credit so if you have an Audible subscription, they are great deals. In short, buy the books, you won't regret it. I have a long commute and I really enjoy Diana Gabaldon's books. They are long, but the stories are so detailed I get lost in them. Davina Porter is a superb narrator. One forgets it is just one person acting out all of the characters. Very enjoyable! It is about darn time!!!! Thank you sooo much for releasing the unabridged version! Now if we can just get The Fiery Cross it will be perfection!!! I love these books and to leave one iota of any of them out is sacrilege! Yesyesyes!! Finally the last book ofthe voyager series with Davina Porters beautiful voice. Thank you Audible! Its been worthwhile waiting. 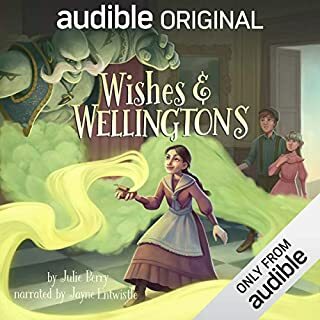 It's been a long wait for audible uk to release this. 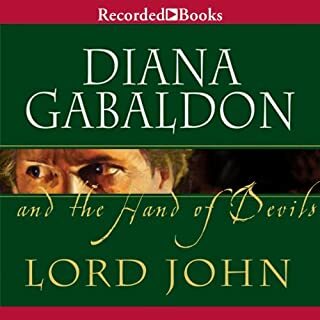 Having listened to and loved the first five of the outlander series I did not want to listen to this in an abridged version with another reader. Davina Porter is the voice of the Frasers. Now I can complete the series, I'm very happy, thank you. I have really enjoyed every book in this series... Diane Gabaldon is a very gifted writer and the brilliant narration of Davina Porter brings every story to life. Another great performance by Davina Porter. She is fantastic with the different accents and is able to convey all the emotions in the book. I probably enjoyed The Fiery Cross slightly more than this book but I still couldn’t put this one down and love the vivid descriptions written Gabaldon. I am very keen to now move onto the next book in the series. Don't start this series unless you are prepared to spend a lot of hours listening.It is compulsive and very difficult to put down. The only complaint I have is that it is too racy to listen to when I am driving as I can't keep my attention on the road! Loved it and really think the narrator is the best there is. Absolutely fantastic from start to finish. Love the story. Can't wait to read the next one. The narrator keeps the story slice and the words are spellbinding. Admittedly I’ve liked these books, especially davina Porter’s narration, I found Clair Fraser the the most annoying woman ever!shrill and self opinionated, but I suppose that’s how the author wanted her to be. What also got me was repeated use of the same words, as if the auther found them in a dictionary and then kept using them out of context! Totally in love with the Outlander series! Occasionally lacking pace when setting the scene. However a great story which fell back into what your used to towards the end. Sometimes significant events skimmed to 'close' them..... But the characters get better and better and I love Roger and Brees relationship. Once you've started this series you can't stop. Books 4, 5 & 6 start well, get boring and long, oh so long, in the middle and then find pace and agency at the end hooking you in & forcing you read the next book. Jamie & Clare remain excellent characters that I continue to love but there is too much 'historical tourism' that just doesn't add to the story. I would only recommend this book to avid fans - it is just such an onerous commitment if you are not totally invested in the characters and the series. The Starz television adaptation really is better than the books - not a comment I make lightly. Diana Gabaldon is excellent at creating characters you fall in love with, excellent at making you feel like you are really there but seriously, seriously, needs an editor and help with the plot. She almost boasts that she doesn't let her editor edit get stories and that she doesn't map out the story across each book or the series and you can tell. But I guess, as she's sold over 25 million books, it doesn't really matter. These characters have become part of my daily life. I look forward to the next installment which I am downloading now..
i love this narrater. she takes you to the heart of the story with so many complex voices. i forget its being narrated. Adorable! This book is the sixth in the outlander series and was gripping from start to finish. A thoroughly enjoyable book. I can’t wait to start book 7. Another incredible book in the series, so much detail you feel like you are with Claire the whole way. Seemed to go off on tangents...but as always, the narration was superb. I just love Jaimie and Claire! Another brilliant book, although it can drag a bit in places, it has some wonderfully exciting parts that had me still listening into the wee hours to find out what happened!